Nobody wants to think about death and dying, but the fact is, death is an inevitable part of life: A gift you can give your family when you pass is to have your affairs in order so that in addition to losing a loved one, they won’t have the worry of being unable to find the necessary documents needed to carry out your final wishes. The first step is to put all end-of-life documentation and directives in one secure place and to let your loved ones know where that documentation will be. At your death or if you are unable to make your own decisions, this will greatly help to uncomplicate an already difficult and emotional process for them. What do I have and who will I leave it to? You will need a basic will and an inventory of your assets. This way you can designate who gets your possessions (or else the state may decide) and who will have custody of any minor dependents (or else the courts may decide). A will also indicates who should be the executor of your estate. Do I have insurance or other benefits? Have any forms on file that summarize your benefits (such as life insurance or retirement funds) and who the beneficiaries will be. Do I have financial assets that need to be managed? 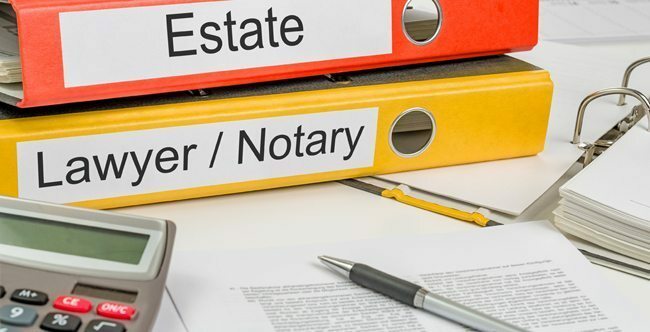 Have a financial power of attorney document drawn up to give control of your finances to the person you wish to carry out any monetary transactions. Who do I want to make health care decisions for me if I am unable to do it myself? A health care proxy and a medical directive will give someone you choose the power to make medical decisions for you and to carry out any end-of-life wishes if you are unable to do that. Who do I need to be notified if I die? Providing your loved one with contacts – personal and professional – will help them inform people of your passing and allow them to connect with utilities and service companies – such as oil delivery – and close your accounts. Also leave information about any credit card accounts – and passwords – so your executor can cancel those accounts. And don’t forget about social media accounts. Facebook, for instance, requires a “verified immediate family member” to request account removal. Your funeral wishes should be spelled out. Considerations such as whether you want a funeral and burial, cremation, or other wishes should be readily available to family members so that your wishes are carried out. There are many other records that you will want to gather and keep in a secure place – and of course, inform relatives or executors where they are stored. These are the basics. To get an idea of the other documents you will want to have on hand, see the Wall Street Journal article. “The 25 Documents You Need Before You Die,” and check with your lawyer or financial professional for further guidance.